Dinosaurs are longtime extinct and we’re only reminded by them through their fossils. However, it doesn’t mean that every creature from that era met the same fate. Did you know that a prehistoric shark still exist? 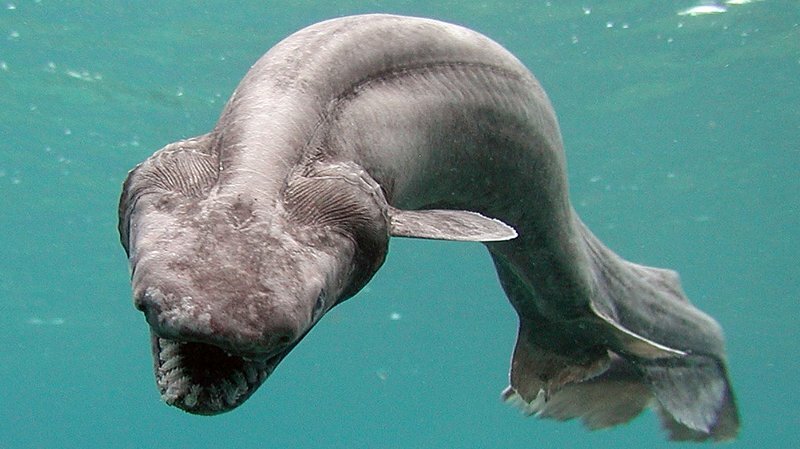 Yes, it exist and it’s called “Frilled Shark“, but don’t worry it isn’t monstrous as it sounds. The fact is, it can only it can only reaches a length of 6.6 ft (2m). Frilled shark has an elongated, eel-like body and has long been likened to the mythical sea serpent. The frilled shark’s teeth and overly exposed spiky pair of six gills are not something to be scared about. But what’s so haunting about this rare shark is, it’s been living in the deepest part of the sea for millions of years, yet humans only discovered it in 1879.